Well, take the first step by brushing up on your international political history, then share your results with us! 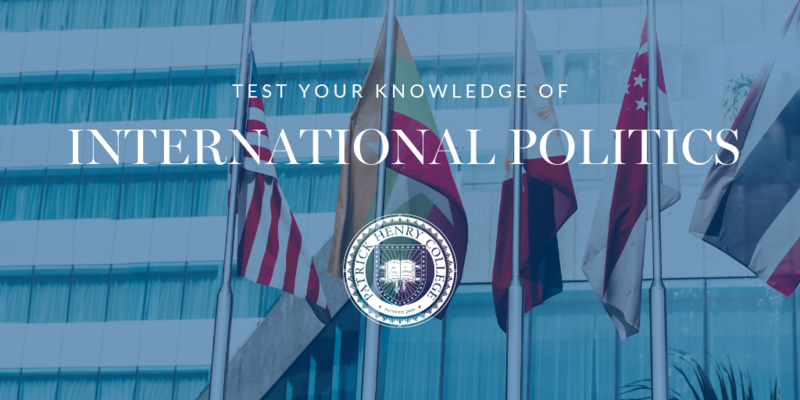 We'll follow up with details on our Government Major: International Politics and Policy Track and get you connected with faculty who can help you achieve your goals. All questions were provided by Dr. Stephen Baskerville Ph.D., Director of the International Politics and Policy major at PHC. To read the Journal of International Social Affairs written and produced by Patrick Henry College Students, click the button below!